The year is 2096 and the 82 year-old Turner Ashbey has seen a lot in the turbulent 21st century: The rising oceans, the Eastern Migration, the Stay Put, the Tax Indentures and of course, the collapse and dissolution of the United States Federal Government into fifty-three "ephemeral nations" as Ashbey liked to call them. Writer, historian and former ambassador to the Great State of Colorado, Turner Ashbey looks back at his life including his on and off again relationship with resistance leader, Laze Fitzgerald. 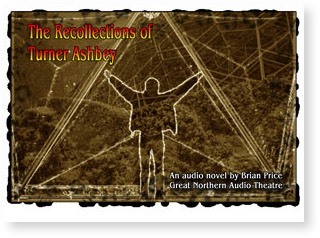 Good grief, what an amazing work you're doing with "The Recollections of Turner Ashbey." It grabbed me right from the first few words. Also, my wife who was in the other room came in to ask who that was. But it's the degree of thinking about the consequences of what's happening now projected into a possible future, and the amount of thinking you must've done, the detail, as I said, I'm constantly amazed.